﻿ About Cincinnati Ohio's Premier Personal Fitness Training! Thank you very much for inquiring about HealthStyle Fitness, our private fitness studio in Cincinnati, Ohio. We realize you have many choices available when it comes to fitness and we’d like to take the time to thank you for allowing us to present some information concerning our business. Having been involved in the fitness business for 13 years, we became increasingly frustrated at the poor standards in our industry. Quite simply, we became discouraged by fitness centers where sales numbers were more important than client results, personal training standards were poor, and quality training programs were difficult to find. In 1999 we set out to create a solution. We believe we have the best fitness training facility in the area with the most attentive and knowledgeable staff, the most cutting edge training methods and a clean and comfortable facility. You won’t find a more qualified fitness training team in Cincinnati. We also believe we offer many things other fitness facilities in Cincinnati do not, such as our educational programs on nutrition, meal planning and cooking, physical therapy support, and programs that help you function at the activities that are most important to you (from being a more energetic mom with more balanced mental and emotional states, a better runner, golfer, biker or simply being a more fit, healthy and productive professional). But we also feel that talk is cheap, and every owner will tell you that he or she is proud of the fitness facility they own, and that their client's results are very important to them. What sets us apart from the rest in the area is that we are the only fitness facility that you can FULLY experience before you decide if we are right for you. You can come in and meet with one of our fitness coaches, try our programs for 4 weeks (and keep all the goodies) and see if our private studio is for a good fit for you, without any obligation. More importantly - we are the only fitness facility whose sole focus is not on finding new clients - but on our client's results. When you come in you’ll meet with a qualified fitness coach - we don’t have salespeople. You’ll meet our staff. You will be able to have a program designed for you, kick our tires, try our approach to fitness for 4 weeks, and decide for yourself. If we’re not up to your standards, if we’re not what we say, then don’t join our programs. It’s that simple. We understand that making a decision to work out is difficult. Will I feel comfortable there? Will I really stick with it this time? Will the staff really help me and appreciate me after I sign up? These are fair questions that can only be answered by coming in to meet us and having a 4-Week Trail. It’s hard to hide bad service, poor staff or a lack of knowledge face-to-face. We’re proud of what we do here and feel that if we’re given a chance you’ll want to do business with us. We’ve been servicing clients in Cincinnati for a long time, and proud to be a locally owned and operated business. We offer programs that are always lead by a qualified fitness professional. We don't sell memberships to use our facility (like a traditional gym). We have experts design and lead you through every single workout, always. Our programs are just that – a complete approach to fitness, nutrition and lifestyle enhancement. This also means that our facility is not for everyone in the community. If you’re looking for drop-in fitness classes, such as spinning or kickboxing, we do not offer those. If price is your deciding factor, you won’t be happy with us. If you are looking for a complete program designed to give you the tools and support to reach your health and fitness goals, and you appreciate quality, then we’re for you. We really believe that you get what you pay for, and we’re worth the investment. You can reach us by phone at 513-407-4665, email us at info@healthstylefitness.com to set up a visit or to schedule Trial Membership. Or, you can click here for more information. Working with a qualified, certified, experienced, and well-trained personal trainer can help you achieve levels of weight loss and fitness success you never thought possible! Click here for a list of Frequently Asked Questions. 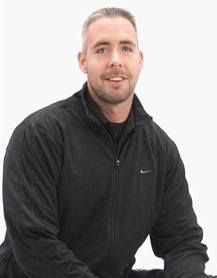 Recognized as one of the top fitness professionals in the country, Brian Calkins has been helping Cincinnatians safely and effectively lose weight and feel great since 1999. 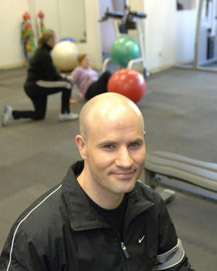 In June of 2004 Brian was honored as one of the nation's top 50 personal trainers by the American Association of Personal Trainers and in August, 2005 Mr. Calkins' personal training approach was featured in THE WALL STREET JOURNAL. Having worked with hundreds of individuals, Brian has developed a warm, motivating & enthusiastic style and approach to fitness that has helped many people weed through all the weight loss and fitness hype and learn what really works. Mr. Calkins has a strong passion for helping people educate themselves about health & fitness and improving their energy & vitality. He is a fitness presenter and author of various fitness publications including Burn Body-Fat the Right Way! a very popular weight loss book and co-author of The Power of Champions available for sale worldwide. Gabe's experience in teaching Cincinnatians how fitness can help them achieve a healthier and happier lifestyle is apparent in all that he does. His passion, warmth and enthusiasm as a coach, whether you're a novice or fitness enthusiast, allows him to excel at supporting clients on proper exercise form to get the most from their efforts while decreasing any chance of injury. Working with Gabe has proven to be a rewarding experience for his clients, allowing them to achieve their health, fitness and wellness goals, increased neuromuscular efficiency, core strength and balance, enhance lean muscle and reduce body fat. As a certified personal trainer and Emergency Medical Technician, Gabe places special emphases on safety and effective movement. And his ever growing knowledge of fitness provides clients the optimal achievement in reaching their goals. Click Here to Read What Your Friends & Neighbors Are Saying.